In January, I was asked to manage a 6 month project in south Florida. Living in the Rocky Mountains and being an avid skier, moving to a sub tropical climate in the middle of the winter was honestly a hard decision to make. In the end, I decided a short term move to Florida would make a great adventure. 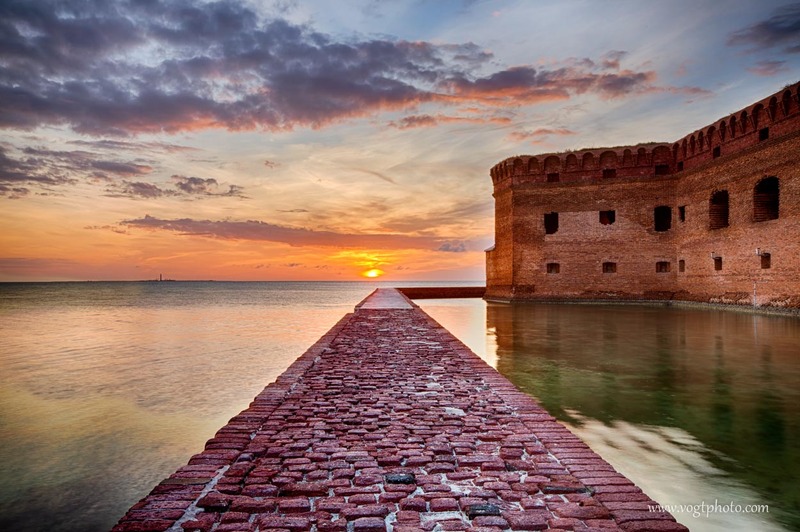 Before moving down to Boca Raton, Florida, I researched outdoor activities and attractions in the area and it became immediately clear that a visit to Fort Jefferson in Dry Tortugas National Park was on the top of my “to do” list. 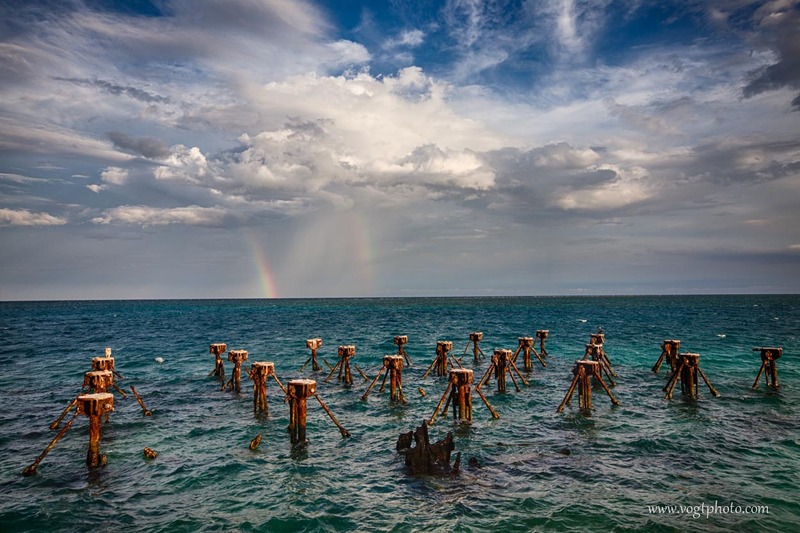 I always thought the end of the Florida Keys was at Key West; well, the roads end there, but seventy miles further west sit the Dry Tortugas, the true end of the Florida Keys. 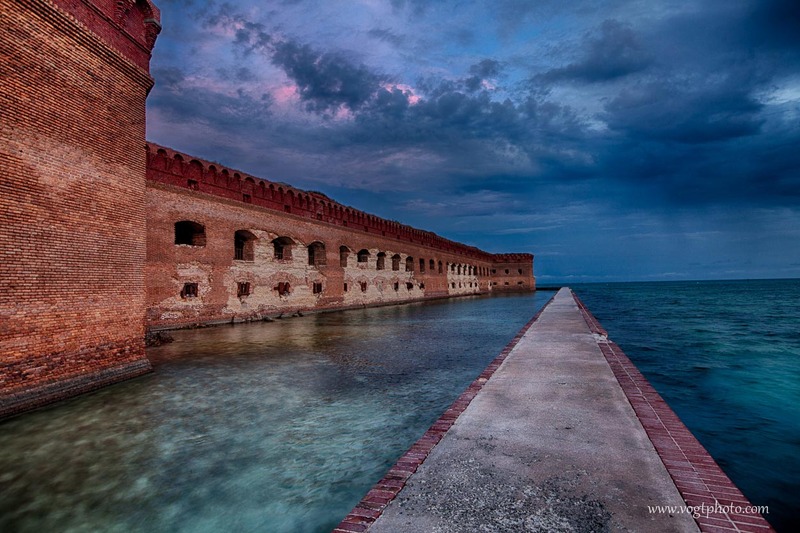 On Garden Key, sits the massive Fort Jefferson; the third largest coastal defense fort in the United States and, with over 16 million bricks, the largest masonry built structure in the Americas. 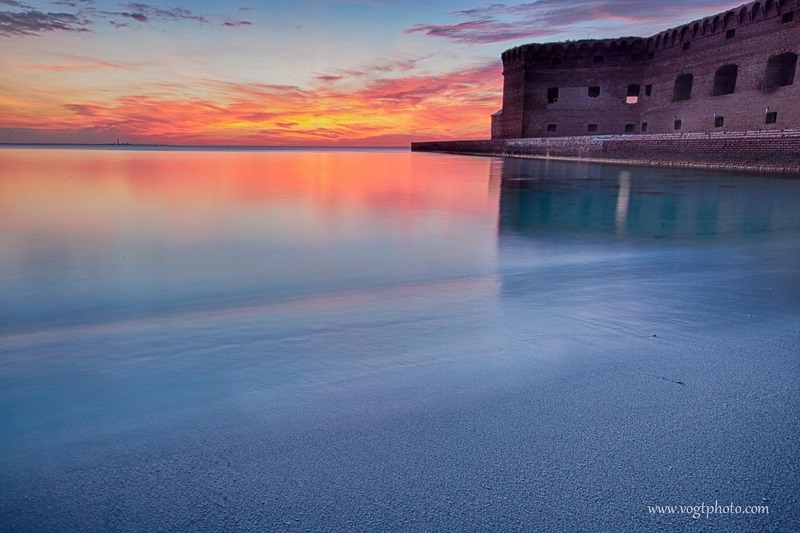 Although accessing the fort is very easy thanks to the Yankee Freedom ferry, access at my favorite times to photograph, sunrise and sunset, is a bit more challenging. With the Yankee Freedom arriving at the island each day at mid morning, and then leaving mid afternoon, an overnight stay was in order. As luck would have it, very limited primitive camping is provided on the island and I booked a two night stay in the first week of June. Upon arriving on the island, I began running around scouting locations to come back to and photograph when the light was better. I was immediately drawn to this small section along the moat wall where the original brick pavers were still covering the top of the wall (most of the top has been “restored” by pouring concrete in place of replacing the brick pavers). I noticed this stretch of moat wall pointed due west, and knew the sun would set at the end of the wall, making for a powerful image. The parade ground of the fort is 18 acres. 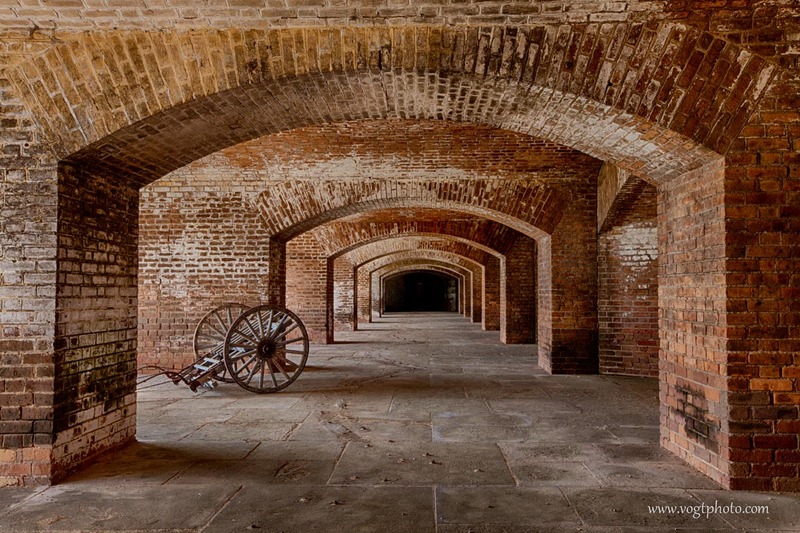 At the height of the fort’s use, nearly two thousand soldiers and their families lived on this parade ground. 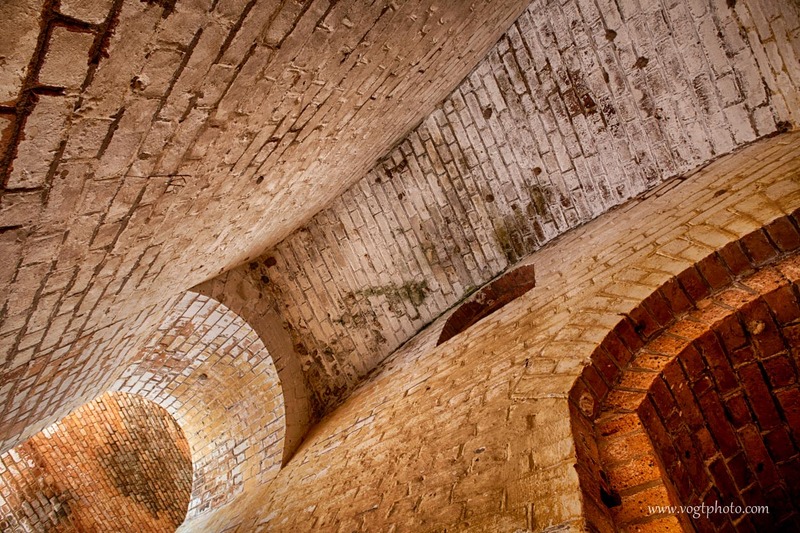 During and after the Civil War, Fort Jefferson was used as a prison, even housing the conspirators of the Lincoln assassination. Everything man made on Garden Key is in one state of decay or another. 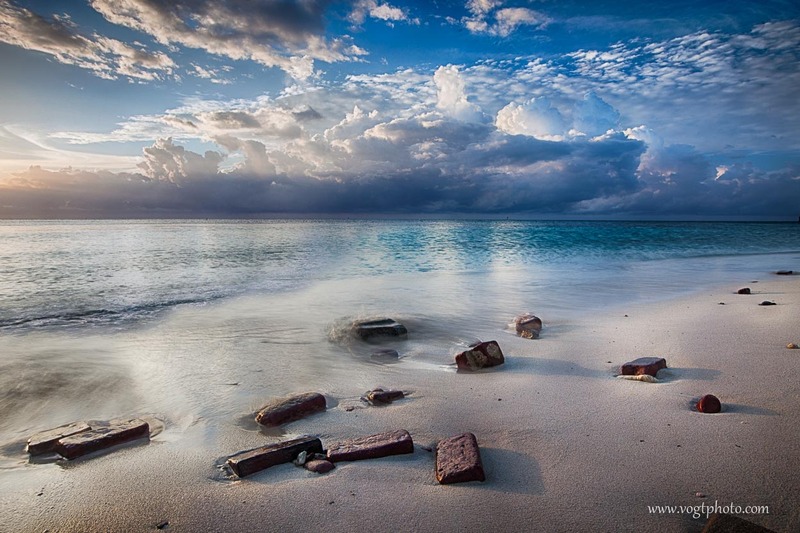 Although the fort takes up the majority of Garden Key, there are two beaches that offer spectacular snorkeling. I must say, after spending two nights on this very small and remote island, I was ready to get on the ferry, take a shower, and head home. However, I already would love to go back. 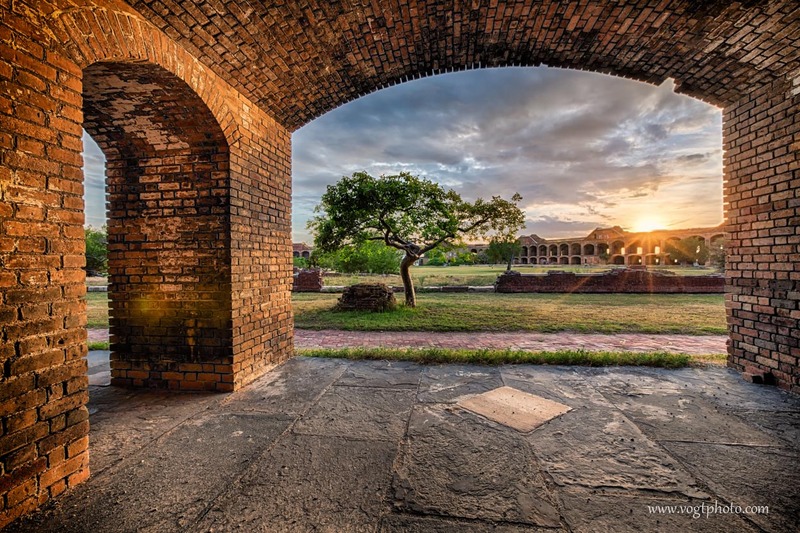 Even if you only have time to do a day trip to Dry Tortugas National Park, go and see it! You will not be disappointed!